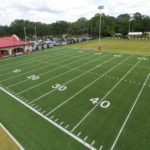 McCall & Associates, Inc. completed the design and construction administration of the new Athletic Field Complex at ABAC. 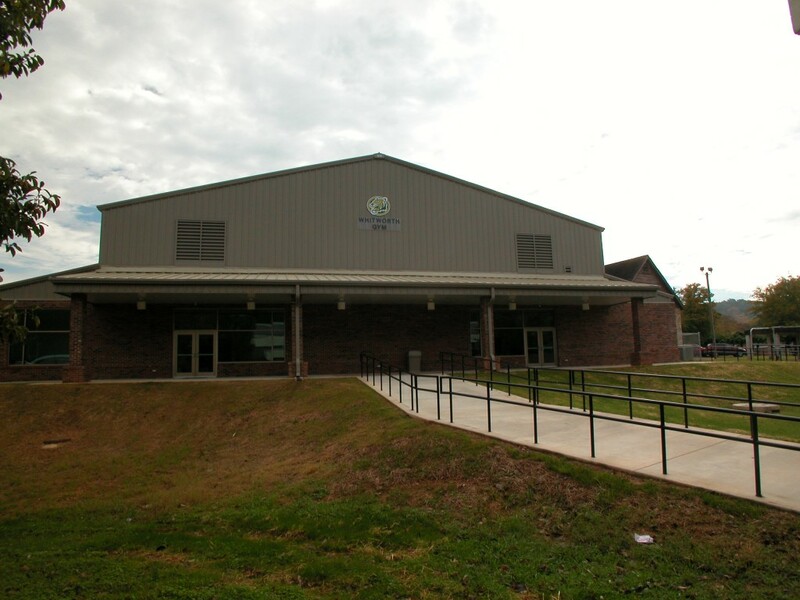 It has been retrofitted to include an existing softball field and our past project, the Red Hill Athletic Center. 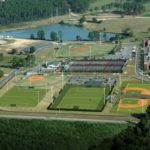 The complex includes an NCAA regulation soccer field, an intramural soccer field, an intramural softball field, a walking track, a press box, bleachers and parking. The design also includes a future field house. 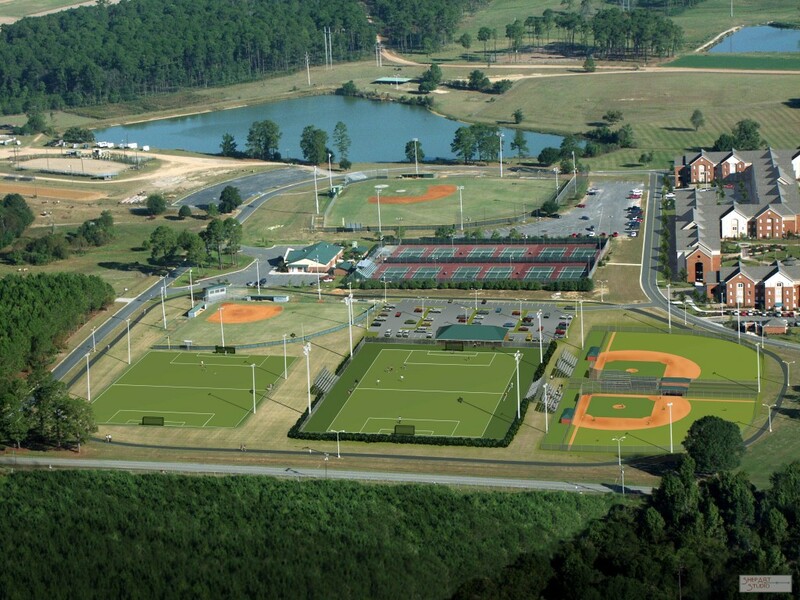 The entire complex features new turf and irrigation systems. 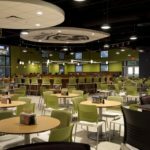 McCall Architecture provided design and construction administration services for multiple food service projects related to food service on Abraham Baldwin Agricultural College’s main campus in Tifton. 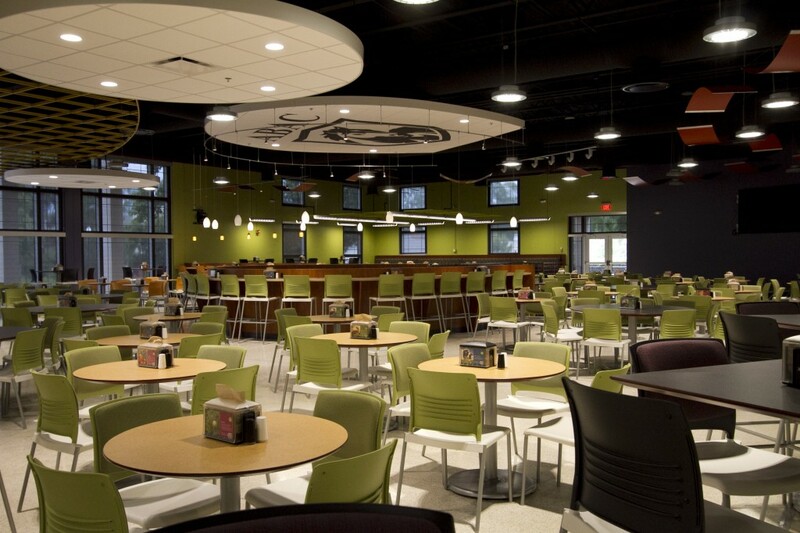 The initial project, renovation and addition work, included the build-out of two retail food service spaces, a sub sandwich shop and a Pizza Hut, and the addition a patio space with a lighted canopy to serve as a place for students to eat, socialize or study, both during the day and after hours when campus food service is closed. 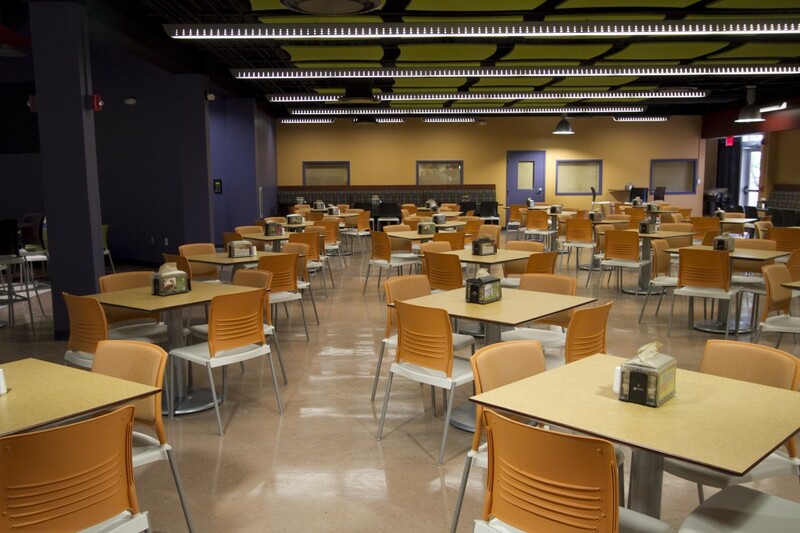 Our follow-up project, the interior renovation of Donaldson Dining Hall, provided ABAC with both updated dining facilities and meeting/gathering space for students on campus in lieu of a student union. 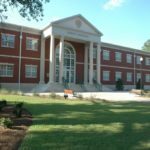 McCall & Associates, Inc. designed the new 41,124 sf facility for the ever-increasing School of Nursing at Abraham Baldwin Agricultural College (ABAC) in Tifton, Georgia. The building accommodates the exponential growth of the existing R.N. program and provides articulation and integration of the L.P.N. and Paramedic programs from regional technical colleges. The facility includes interactive computer and skills labs, as well as a new campus infirmary that will be used as a teaching site. 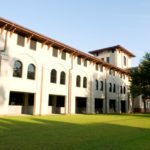 An important aspect of this design is the desire to complement the adjacent historic buildings on ABAC’s circular front drive. 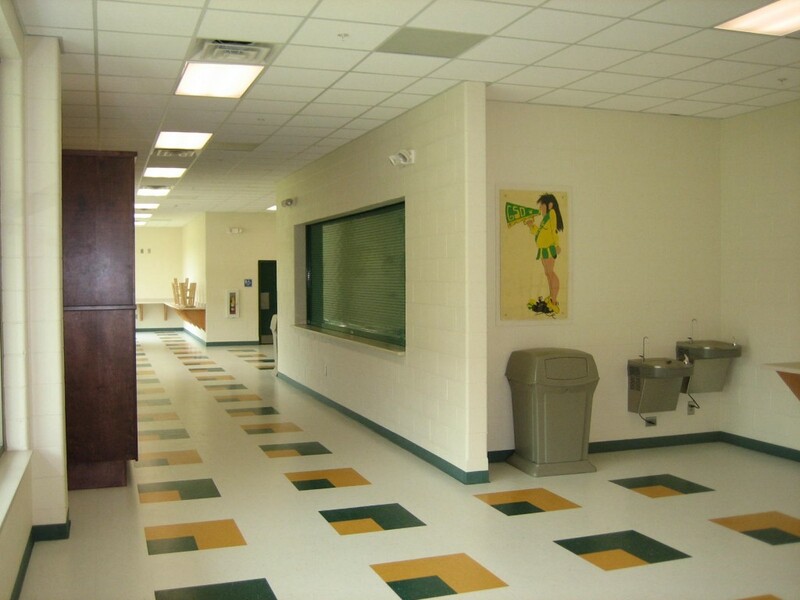 This project was initially designed to be completed in 2 phases due to funding issues. 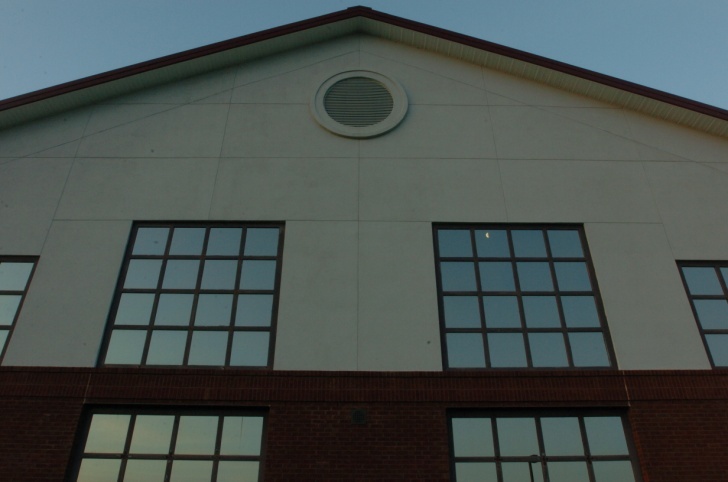 Due to our careful project management, ABAC was able to get the entire facility built at one time. 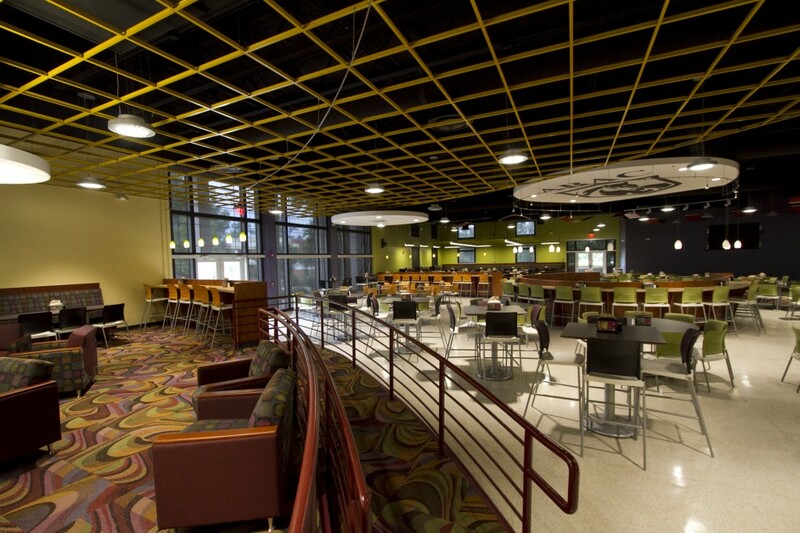 The project was completed on a tight schedule and was ready for students and faculty to occupy for fall semester 2006. 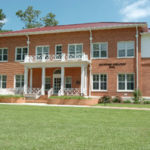 McCall & Associates, Inc. was hired by the Board of Regents and Georgia Southwestern State University in mid August of 2010. The Construction Documents were complete at the end of October of 2010. A CM-at-Risk was hired by the Board of Regents and started work mid December of 2010. 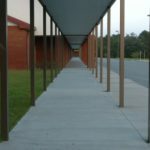 The project is scheduled to be complete in June of 2011. 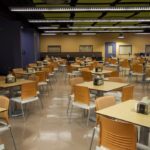 Although the project started as renovations of the 2nd and 3rd floors, work on the 1st floor is now included due to connections to existing systems and unforeseen existing conditions uncovered during demolition. 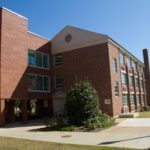 The project includes extensive interior renovation, replacement of the roof, reglazing of all windows, and the addition of an elevator tower. 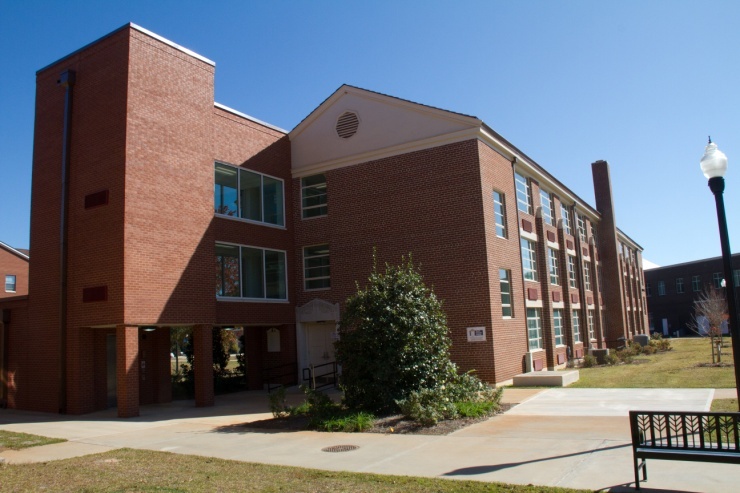 The interior renovation converts a 1952 era 3-story dormitory to modern classrooms and faculty offices to include three 50 seat classrooms and computer lab on the third floor. 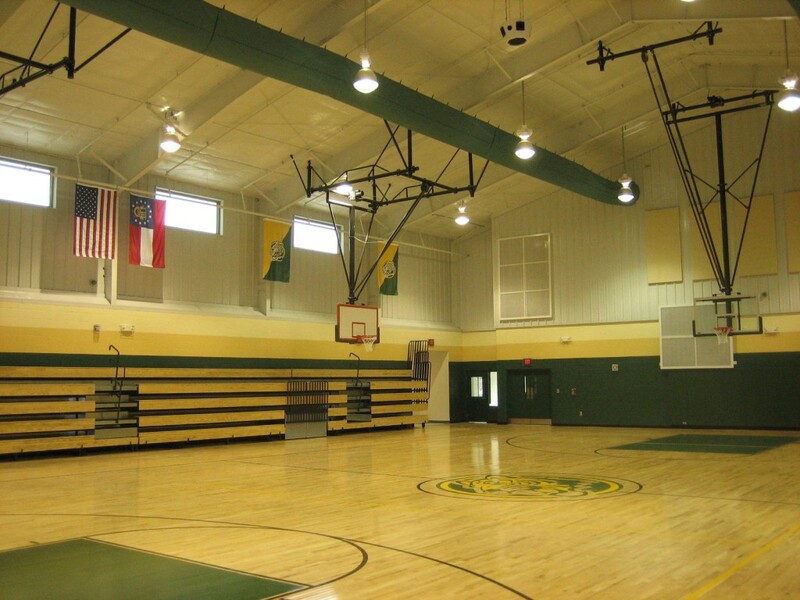 The third floor ceiling (attic floor) was partially removed to increase the ceiling height in the larger classrooms. 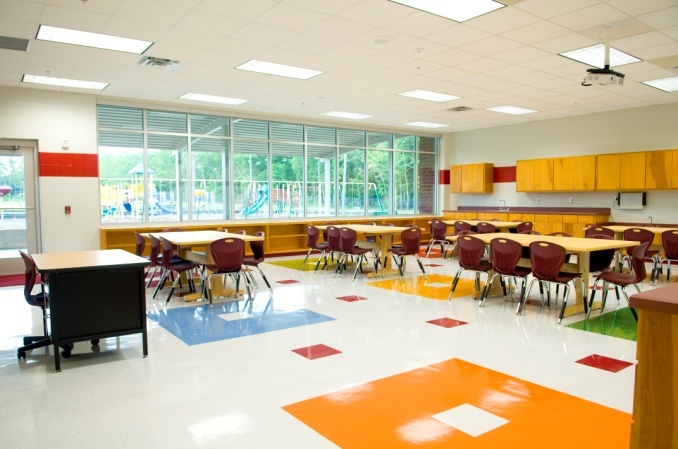 The learning spaces incorporate the latest technological systems. 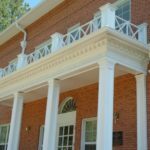 McCall & Associates, Inc. worked diligently to deal with issues of asbestos abatement as well as preserving the historic fabric of the building. 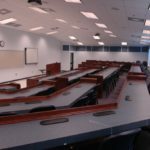 Due to the Owner’s schedule, this project required a highly accelerated effort by the design team as well as a continued commitment by both the design team and construction professional to complete the project on time. 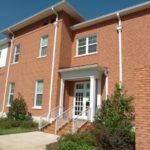 McCall Architecture successfully completed the renovation of historic Crawford Wheatley Hall on the campus of Georgia Southwestern State University. 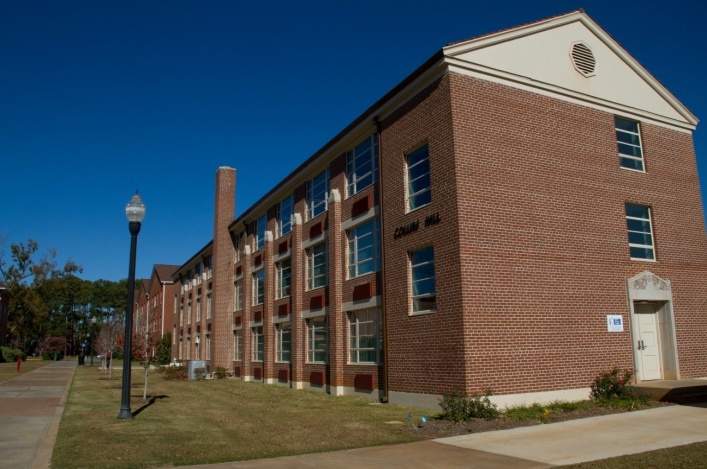 Crawford Wheatley Hall, named for the honorable Crawford Wheatley who became treasurer of the institution’s Board of Trustees, was constructed during the years of 1911 and 1912 at a cost of $17,500. 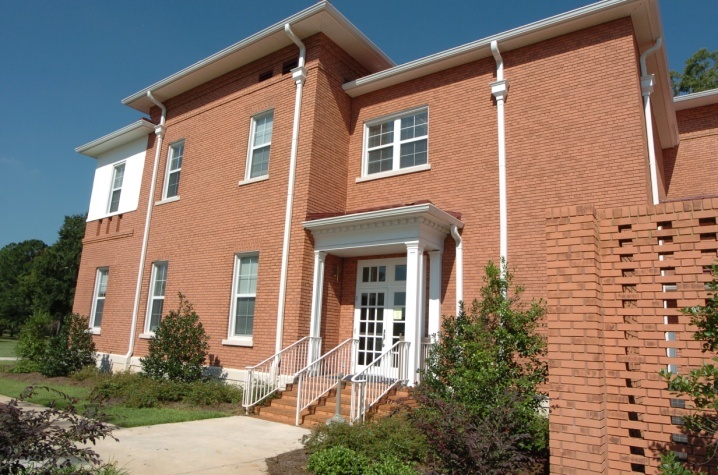 This two-story brick structure provided a dining hall on the first floor and a women’s residence facility on the second floor. 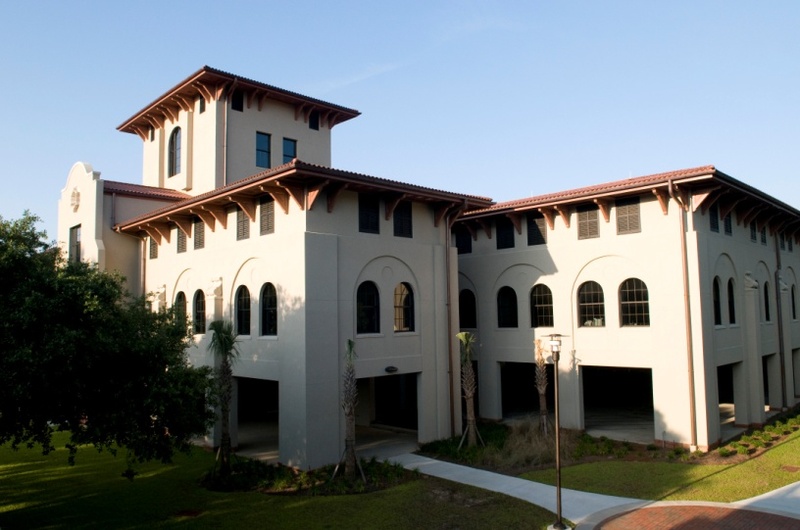 The goal of the project was to convert the structure into GSW’s School of Computer and Information Science, while maintaining the historical character of the structure and the campus. 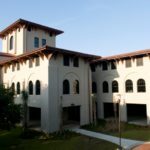 The facility features fully wired, multipurpose computer labs, faculty offices and specialized workspace for one-of-a-kind software development. 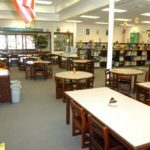 The school needed this updated space for its growing programs, particularly in the CIS department which is expected to become a new revenue center. 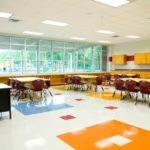 McCall & Associates, Inc. provided design and construction administration services to the the Lowndes County School System for James L. Dewar Elementary school. 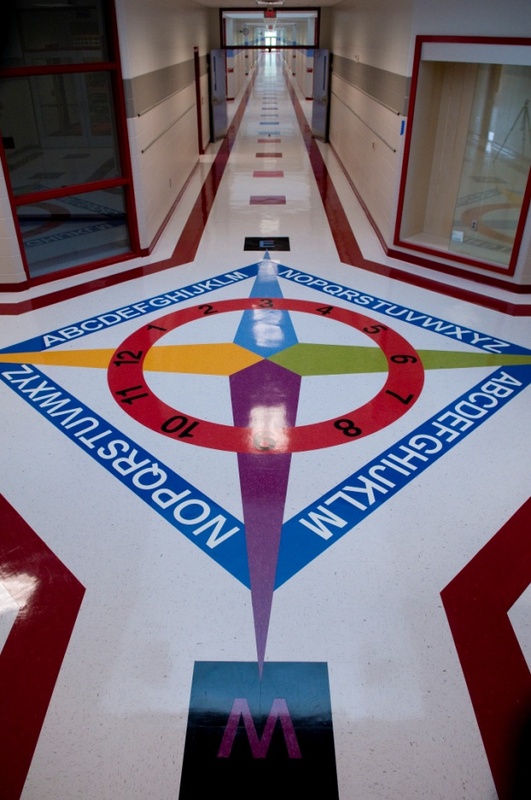 This facility houses more than 700 students from kindergarten to fifth grade. 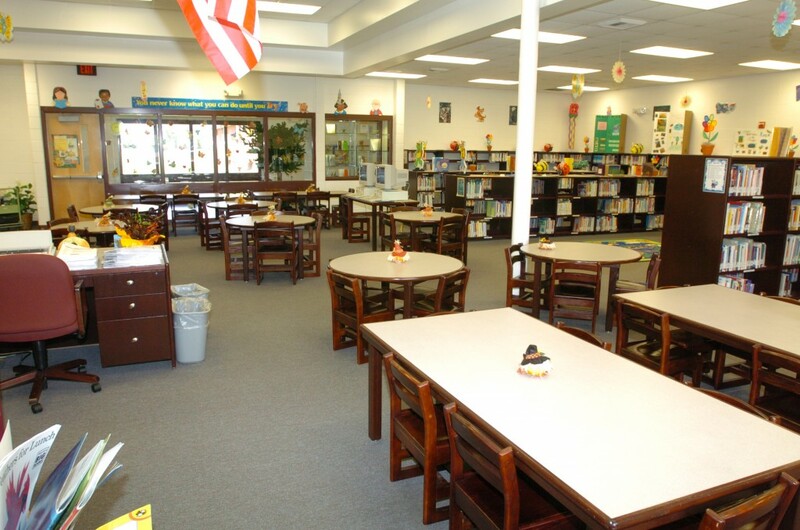 The school includes a centralized media center and a flexible cafeteria/auditorium/gym space. The original design was developed with future growth in mind. McCall has completed the design of an additional wing to the school; the addition project is awaiting construction at this time. 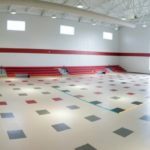 McCall & Associates, Inc. worked with the Georgia State Financing and Investment Commission (GSFIC) on behalf of the Georgia School for the Deaf in Cave Spring, Georgia to provide design and construction administration services for the school’s new 16,390 sf gymnasium. 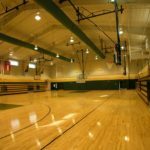 The building is comprised of a high school regulation basketball court with four practice goals and retractable bleachers to accommodate 525 spectators. 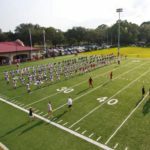 It also includes coach’s offices, four locker rooms complete with bathing facilities and dressing/meeting rooms, a laundry, athletic equipment storage, large public restrooms, a concessions stand and dining area, and a public lobby with trophy cases. 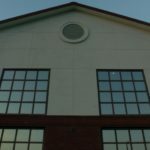 The building has specific features and electronic visual equipment to accommodate individuals who are deaf or hard-of-hearing as well as those with physical disabilities. 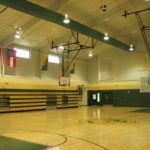 The site utilized for the facility was extremely tight and therefore required careful planning to fit all of the requested functions within the area available. 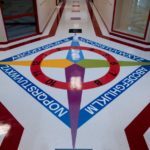 The project budget was limited and required skilled project planning and management in order to maximize the project results. 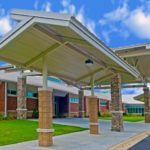 This project is the recipient of American School & University Magazine’s Architectural Portfolio Award for Outstanding Designs for Elementary Schools. 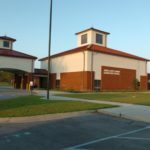 McCall & Associates, Inc. worked with the Lowndes County school system to provide design and construction administration services for the new Pine Grove Elementary School project. 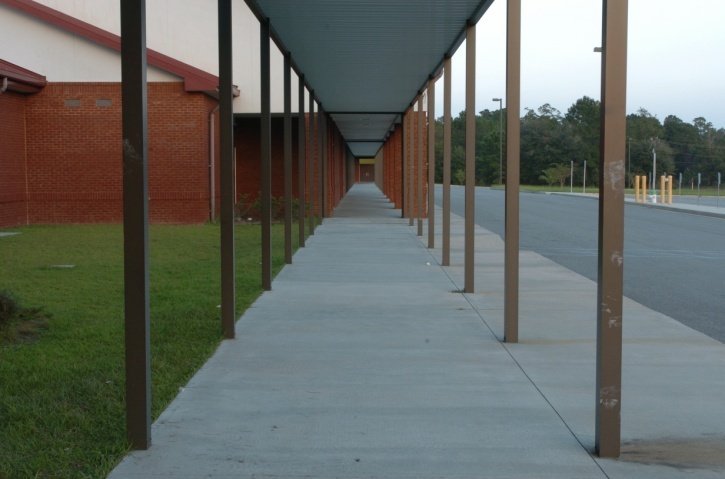 Financed through E-SPLOST revenues, this multi-million dollar project will replace the existing Pine Grove Elementary School, built in the late 1950s. 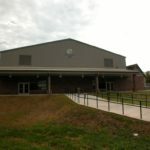 The new Pine Grove Elementary School is 122,470 square feet and houses 52 instructional units. 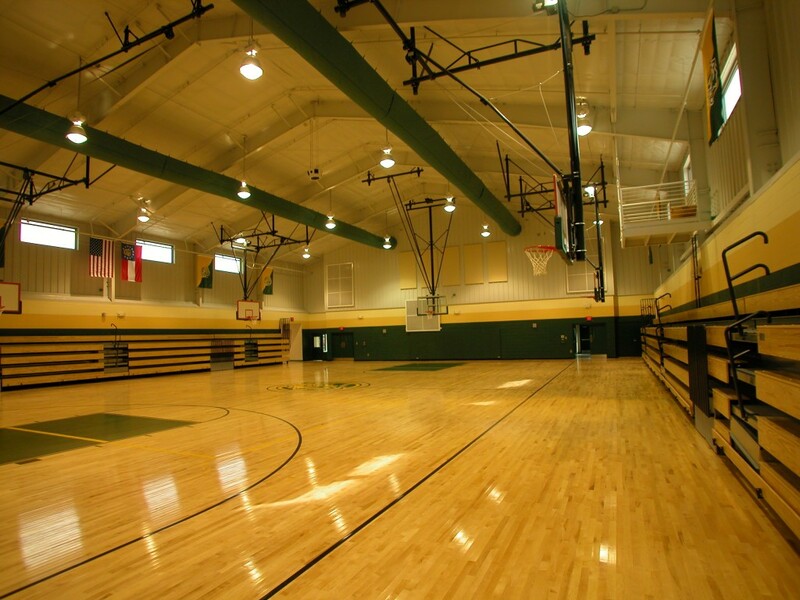 The layout is based on a wing plan with a centralized media center and has a gymnasium and cafeteria to one side. The corridors make maximum use of the available natural light though a clerestory in the roof. 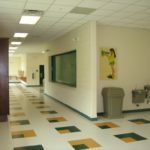 The school features interior courtyards with landscaping and planters. These courtyards can be used as exterior classroom spaces. 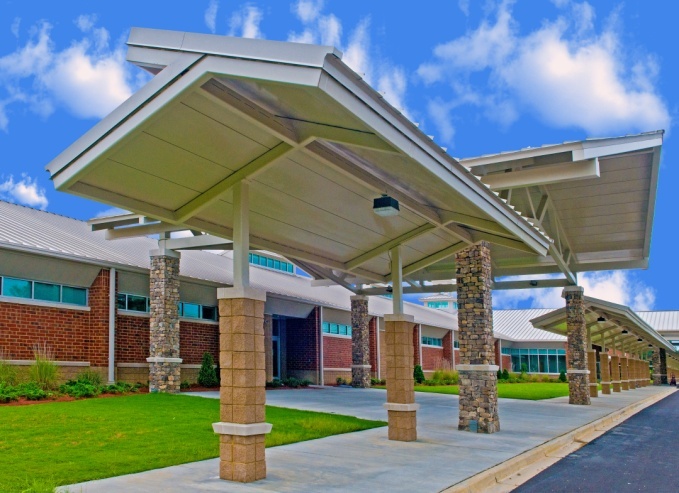 The façade and exterior materials were designed to coordinate with the overall architecture of the campus which includes the new Pine Grove Middle School. 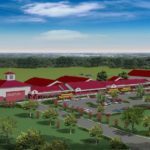 The new school is located on 217 acres that that will house a future high school and eventually an agricultural program for the entire system. 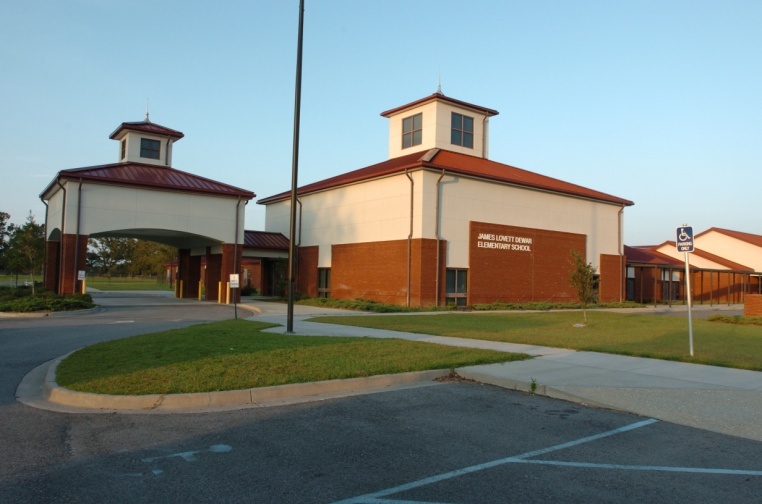 Pine Grove Elementary School has deep roots in the community. 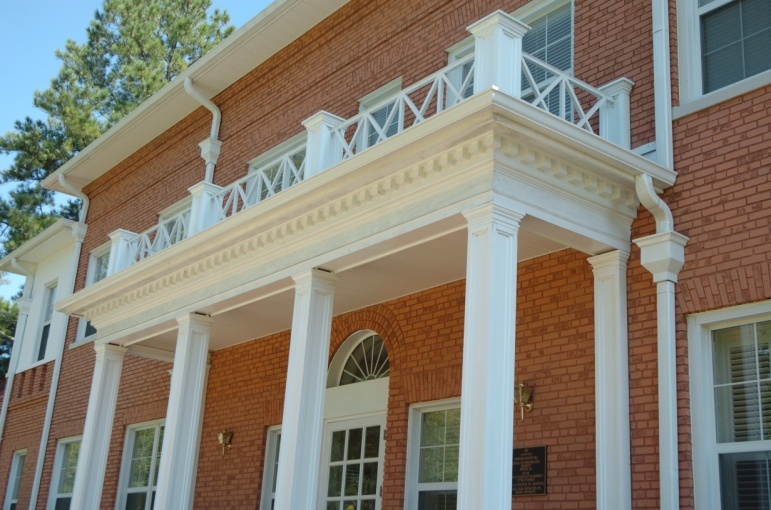 The original Pine Grove School began as a one-room, log structure with one teacher. As attendance grew so did the school. 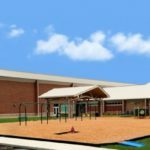 Pine Grove Elementary School will continue this rich tradition of community involvement and exceptional educational opportunities in this new facility. 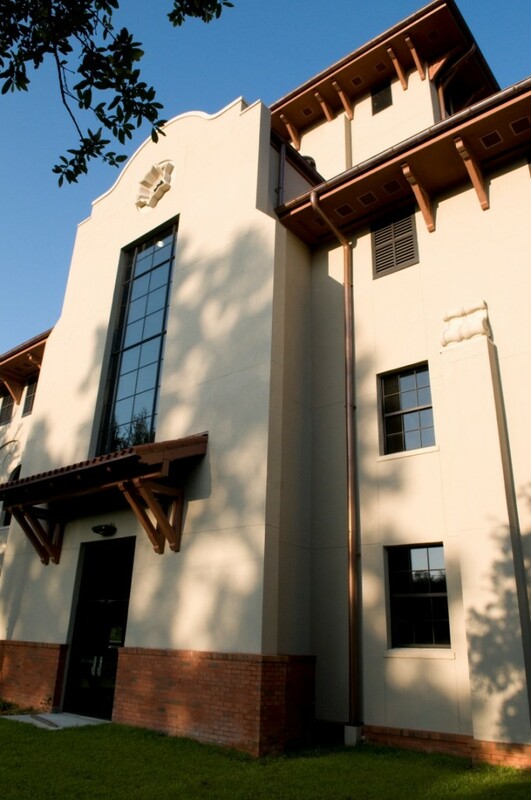 McCall Architecture, working with Valdosta State University and the University System of Georgia Board of Regents, completed the rehabilitation of historic Pound Hall, which houses the Langdale College of Business Administration. 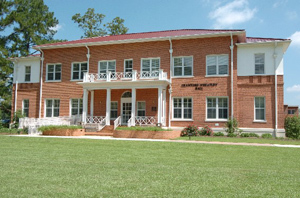 Renovations to the 1922 Georgian Building included classrooms, student lounge, and faculty office space. 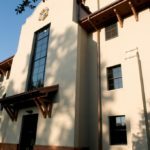 The project also called for transforming the historic building into a technologically advanced learning facility for VSU students. 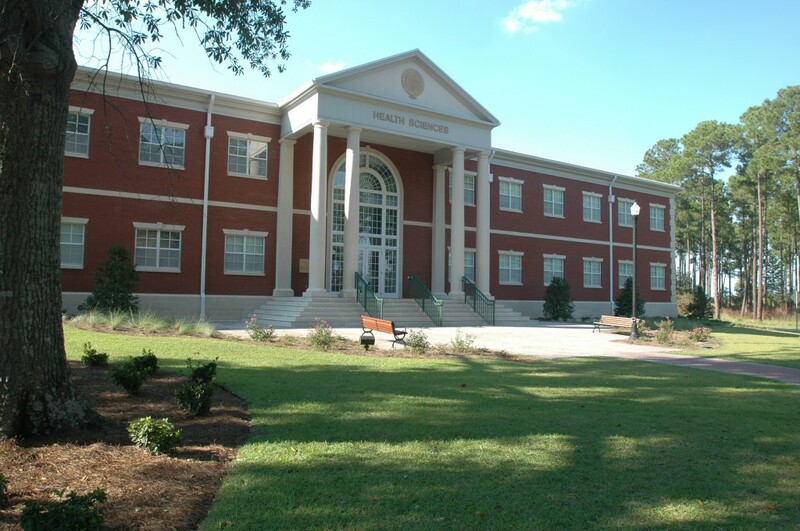 These efforts included the creation of a central 120-seat radial-style lecture hall, electronic interactive computer labs, and electronic interactive tiered classrooms, as well as a state-of-the-art distance learning facility which enables VSU to offer advanced classes to many of the region’s smaller two-year schools. The existing auditorium was tiered and equipped with a satellite rear screen projection system. The project was considered an overwhelming success. 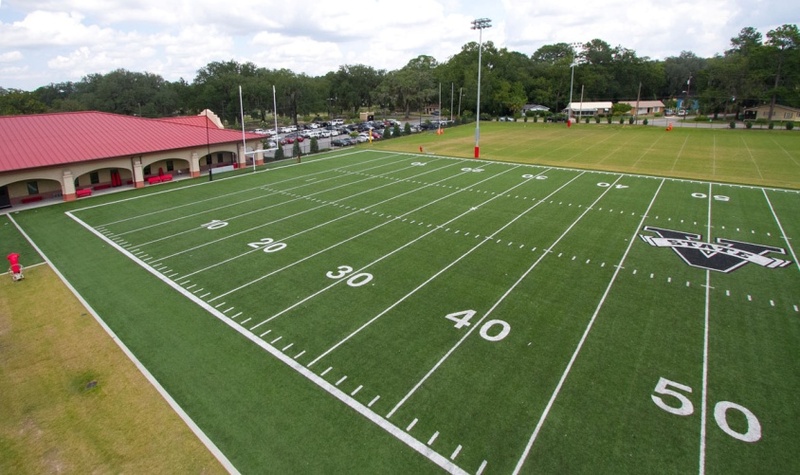 McCall & Associates, Inc. provided design and construction administration services for Valdosta State University’s Athletic Complex which includes a new fieldhouse and athletic fields. 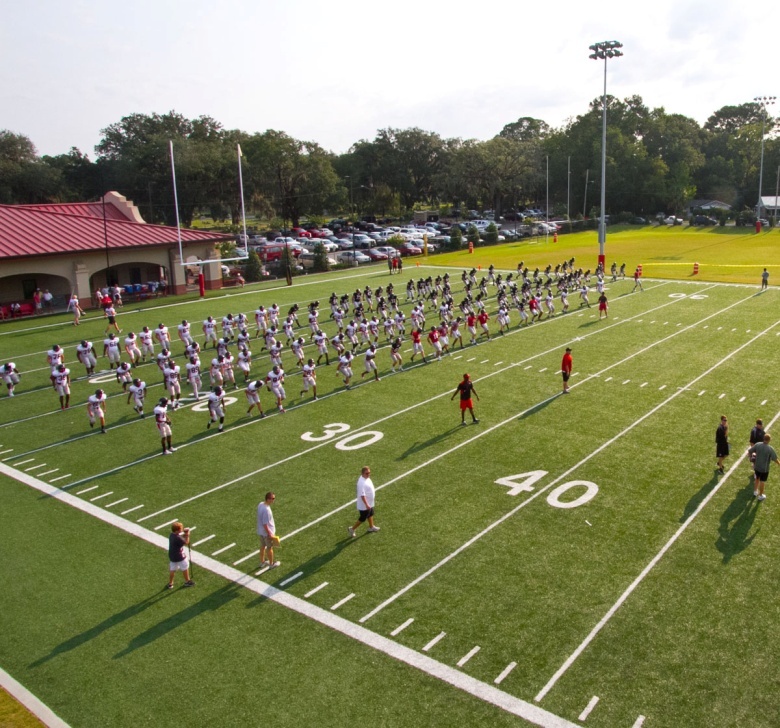 This new facility included an athletic department, collegiate sports offices, a conference room, video editing stations, classrooms and offices, a weight room, and training and locker rooms. 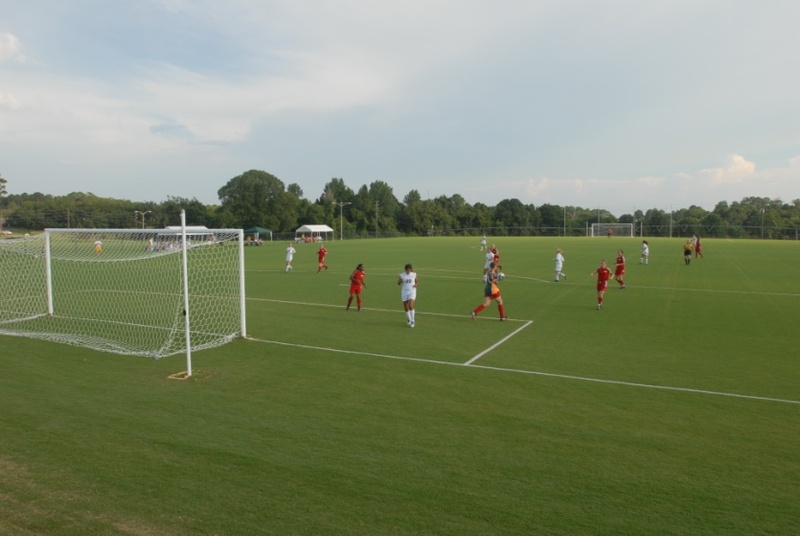 The site includes three fields: two football practice field, and one NCAA competition ready soccer field. 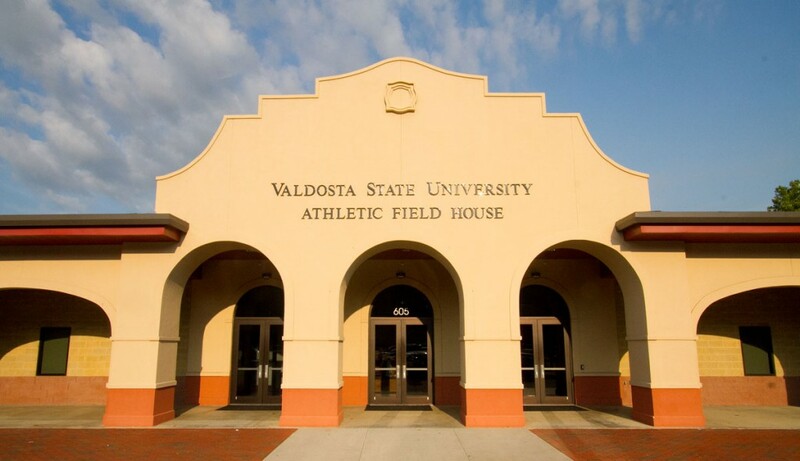 The latter will serve as home to the VSU women’s soccer team. 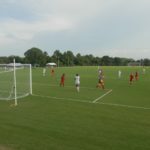 Each field is equipped with stadium lights, press box and bleachers, and the two natural grass fields have draining and irrigation systems. 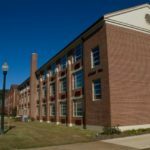 McCall & Associates, Inc. was retained as part of the Tim Haahs team to provide design services for two new parking structures for VSU. 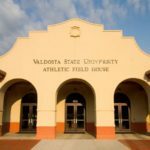 The decks are the first to be built on the Valdosta campus. 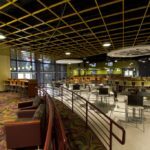 McCall & Associates, Inc. provided architectural and construction administration services for the decks’ occupied interior spaces. 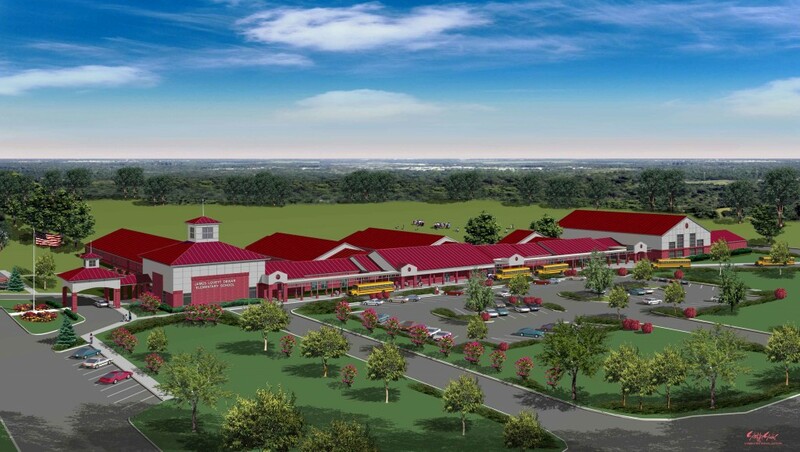 The two facilities will hold 2,000 cars and include a variety of mixed-use space. 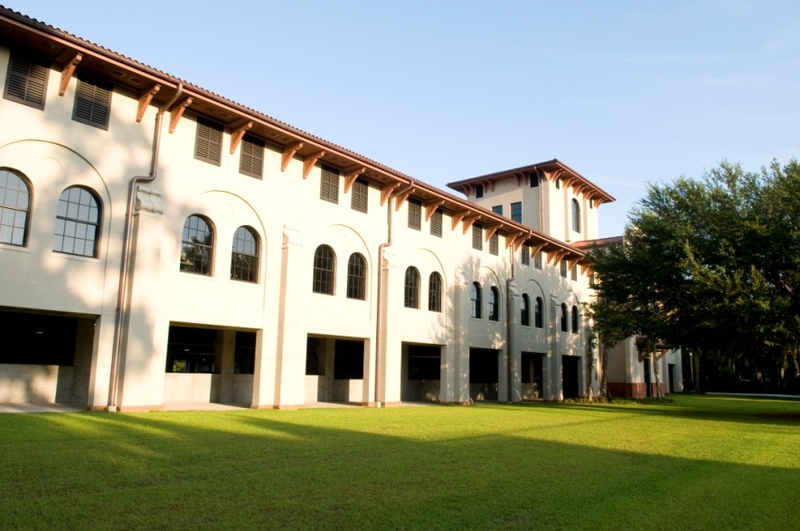 One of the major concerns in the design of these two structures was the integration of new construction into the campus’ historic Spanish Mission style architectural fabric. Our team achieved this, and the decks are routinely praised for both their form and their function. Oak Street Deck includes 28,000 sf of new office space for the university’s police department and auxiliary services, including a new main data center for the university (approx. 2,100 sf). 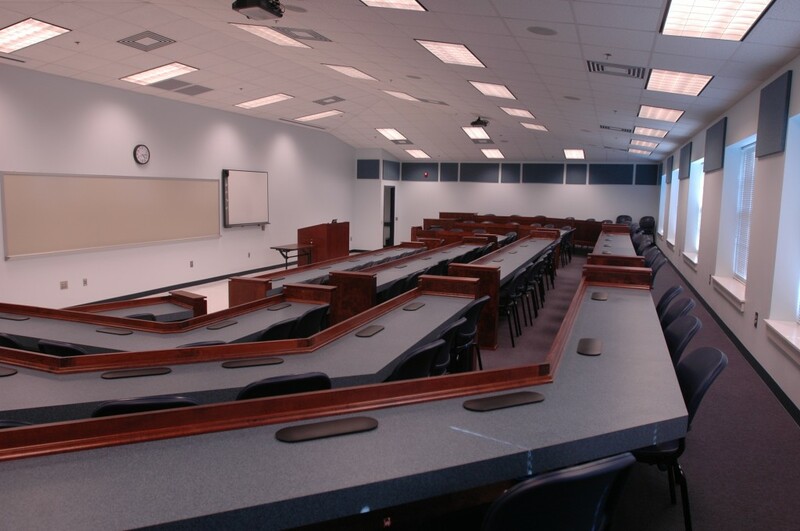 The campus police space is designed for emergency management and can be used as the university’s Emergency Operations Center (EOC) if necessary.